e-Newsletter - Bedrock 66 Live! This week's installment of StoryCorps Griot features William and Glen Haley. They remember their father, Joseph Howard Haley, who founded the Jackie Robinson West Little League in 1971 on the South Side of Chicago. Although the league only had one team at its inception, it fostered the talents of ballplayers who later played in the major leagues. Such players include Emil Brown, Marvell Wyne and Hall of Famer Kirby Puckett. In the 2007 season, the 12- year-old team was ranked third in the state of Illinois. All the Griot Initiative recordings are archived at the Library of Congress. A copy of each interview will also go to the National Museum of African American History and Culture in Washington, D.C. This segment was produced by Selly Thiam. Senior Producer for StoryCorps is Michael Garofalo. Copyright 2018 NPR. To see more, visit http://www.npr.org/. It's time now for StoryCorps Griot. Each Tuesday, we bring you a story from this project that's recording black Americans across the country. Today, a story from the south side of Chicago. That's where Joseph Howard Haley, an assistant principal, founded the Jackie Robinson West Little League in 1971. There was only one team that first year. But today, Jackie Robinson West is a community institution with more than 600 kids playing on 39 teams. Joseph Haley's sons, William and Glen, recently came to StoryCorps to remember their father's legacy. Mr. WILLIAM HALEY (Resident, Chicago): I can still hear him hollering, coaching, when the kids would just be running over the field. And every kid to the league, no matter if he cut them from the all-star team or he suspended them from school, they respected him because he was a man of his word, and they knew he cared truly about them as a person. Mr. GLEN HALEY (Resident, Chicago): Dad has been passed two years now. I would say it is a bit of a time of transition. One day, a parent came to the park and she wanted to speak to Mr. Haley. I didn't really know what to say (unintelligible), well, maybe she didn't know my father passed away. And so I think, how can I redirect her? And one of the guys with me says she wants to talk to you. You know, it was just so strange and the challenge for us is that we have to kind of walk in that same path. Mr. W. HALEY: I got some things I try to model from him. Mr. G. HALEY: What would you try to model? Mr. W. HALEY: The kids knew he loved them. Mr. W. HALEY: The kids don't believe that you care. You can't teach them because you can't even reach them. Being - I'm a Chicago public school teacher, I have several students from our school who play in Jackie Robinson West Little League. Mr. G. HALEY: And one of his students - this is probably one of the best players in the league - quit baseball in April. Mr. W. HALEY: So that one day, I just pulled him to the side, I said, what's going on? Why are you not coming? He said, I don't want to play this year. And I couldn't understand it because he's been on my team probably since he was 6. Mr. G. HALEY: Mm-hmm. And he was surrounded by some negative influence. Mr. W. HALEY: He had gotten into a little trouble at school and they would send them to me. So I said, I don't believe my father would allow you to walk away from this game. And I said and I'm not going to do that. I'm going to sit you on the bench. If you just - if you don't play, you're just going to sit in that bench. Mr. W. HALEY: So come to the game. You'll go sit - you're going to be in the park for three hours. We did that probably twice. And the next time I looked up, he picked up a ball. He might have swung a bat, but he never came on a field. So I know it's a matter of time. And like so maybe the fifth time, he came out and he had his gloves, still in his regular shoes, no gym shoes. And then he called me one Saturday morning and said, is the team practicing today? And I said, yes. And he said, will you come pick me up? I said, yes. And the rest is history. He's batting clean up under my authority (unintelligible) all-star team now. He's, like, he hadn't missed the beat. Mr. G. HALEY: So the league didn't do anything else this year. We didn't win a game. We didn't travel, if those things didn't happen. Just this story alone. Mr. W. HALEY: Right. My father and his vision and with the league was set up for worked. CHIDEYA: William and Glen Haley in Chicago. Five players who started in Jackie Robinson West went on to play in the major leagues, including hall of famer Kirby Pocket. The StoryCorps Griot booth is currently in Mississippi. All the Griot initiative recordings are archived at the Library of Congress. A copy of each interview will also go to the National Museum of African-American History and Culture in Washington, D.C.
To find out how to record your interview and to hear more from Storycorps Griot, go to nprnewsandnotes.org. CHIDEYA: That's our show for today. Thank you for sharing your time with us. To listen to the show or subscribe to our podcast, visit our Web site, nprnewsandnotes.org. No spaces, just nprnewsandnotes.org. To join the conversation or sign up for our newsletter, visit our blog at nprnewsandviews.org. NEWS & NOTES was created by NPR News and the African-American Public Radio Consortium. Tomorrow, our Bloggers' Roundtable. Transcript provided by NPR, Copyright NPR. In some families, a specific talent seems to be passed down through the generations. That could be the case for Ledo Lucietto and his daughter Anne, who share a passion for mechanical engineering. The Luciettos owned a tool and die shop in Illinois for 50 years. Ledo's father was a mechanical engineer who emigrated from Italy. Their shop was called the Byron-Lambert Co.; they made wire forms and metal stampings. And as a little girl, Anne was a regular in that shop, asking her grandfather, Luigi, what he was doing as he made parts. As he was approaching 40, Bryan Echols realized he was almost half his father's age, and he became curious about the man who raised him. "What were you like at 40?" Bryan asked his 80-year-old father, Lindberg Echols, at StoryCorps in Chicago. "Well, I had seven kids," said Lindberg, who worked at a ceramics factory in Gilberts, Ill., to support his family, which included Bryan and his six siblings, plus two daughters from a different marriage. "And I guess I was pretty tough on the boys," he said. "It was a relationship that got better," Bryan said. 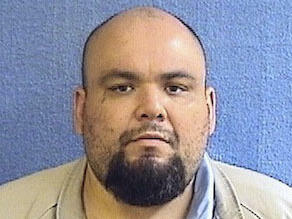 Carlos Rocha grew up in Chicago and became a gang member like his brothers. In 1998, he was arrested for weapons possession and sent to prison. Right before he was to be released on bond, Carlos, now 40, got into a fight with another inmate and killed him, resulting in an additional 24 years behind bars. 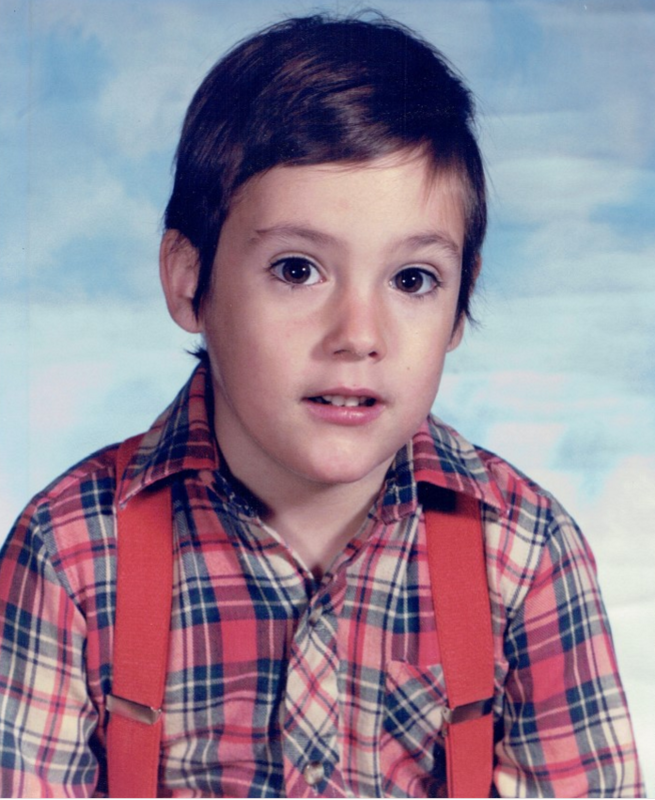 John Graziano, a second-grader in 1986, was diagnosed with HIV in a Chicago suburb called Wilmette. He had contracted the disease from his biological mother, but he had been adopted by the Graziano family. "John was one of the first children in the state of Illinois to be diagnosed as HIV-positive," his adoptive father, Tom, remembers. Tom Graziano recently spoke with John's elementary school principal, Paul Nilsen, on a visit with StoryCorps.